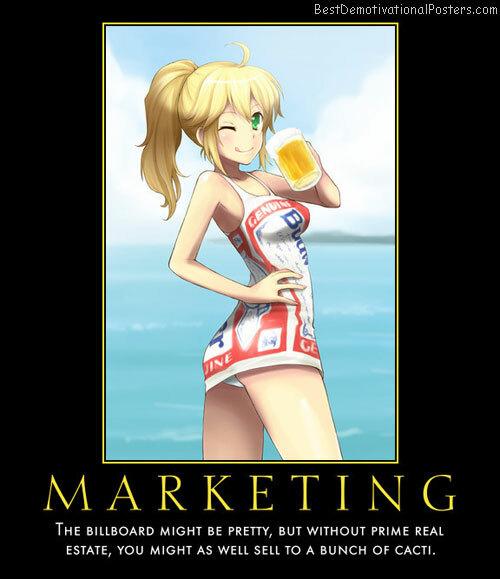 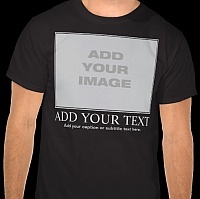 It Pays To Advertise - But only advertise if it pays. 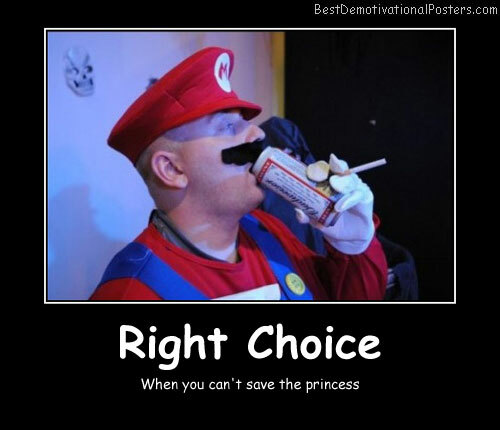 Right Choice - When you can't save the princess. 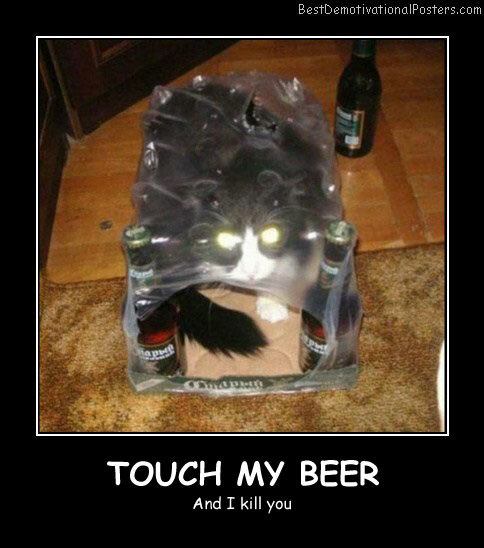 Touch My Beer - And I kill you. 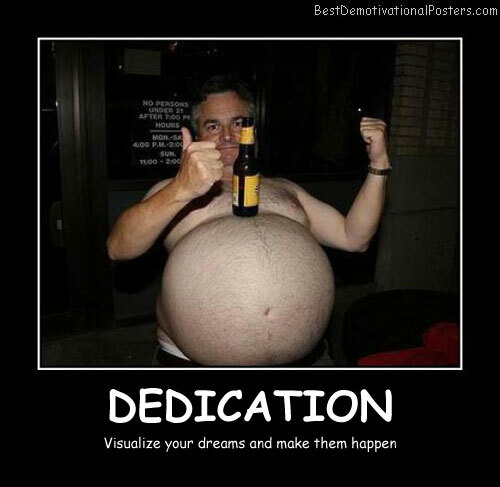 The Awkward Moment When You Have - An inexplicable urge to sheer for Germany. 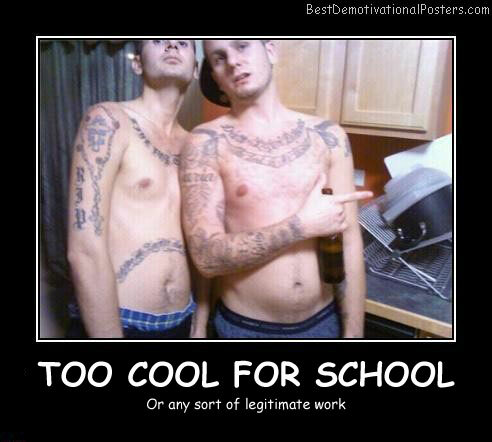 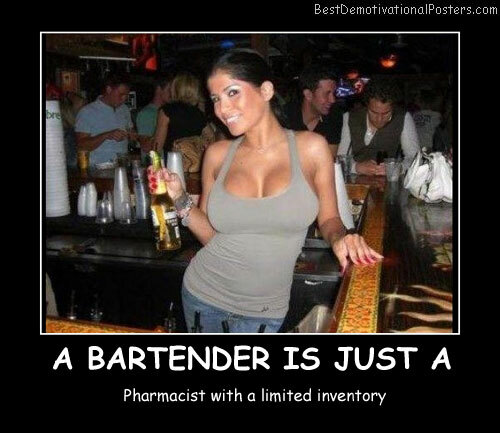 A Bartender Is Just - Pharmacist with a limited inventory. 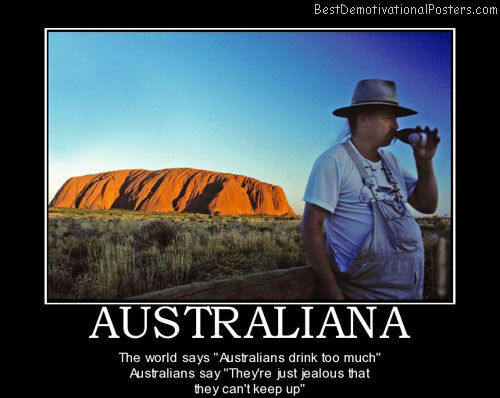 She'll Have To Drink A Lot - Before she wants you. 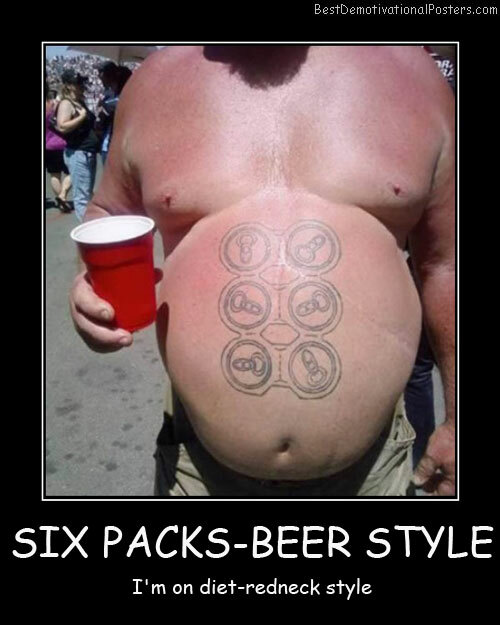 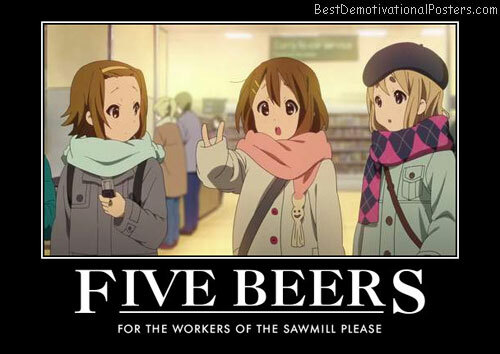 Five Beers - For the workers of the sawmill please. 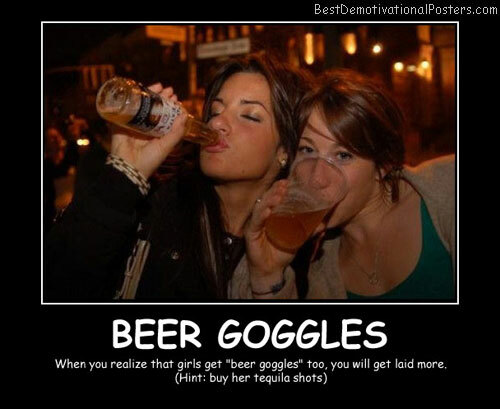 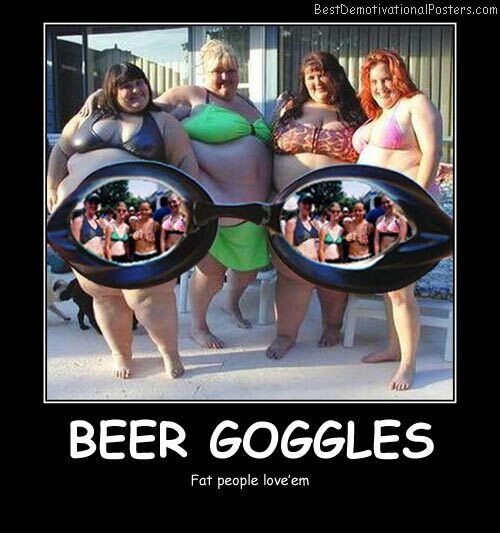 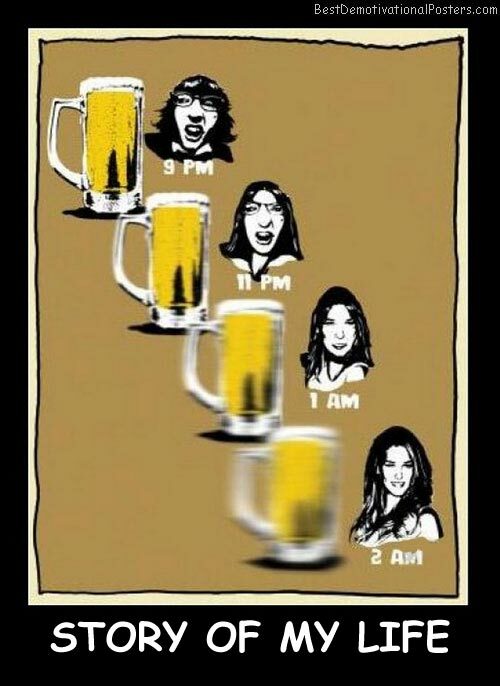 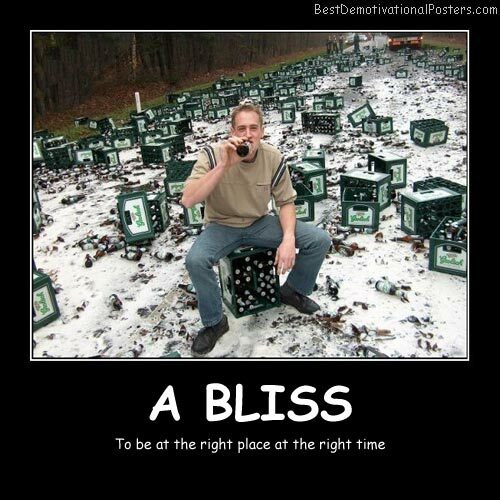 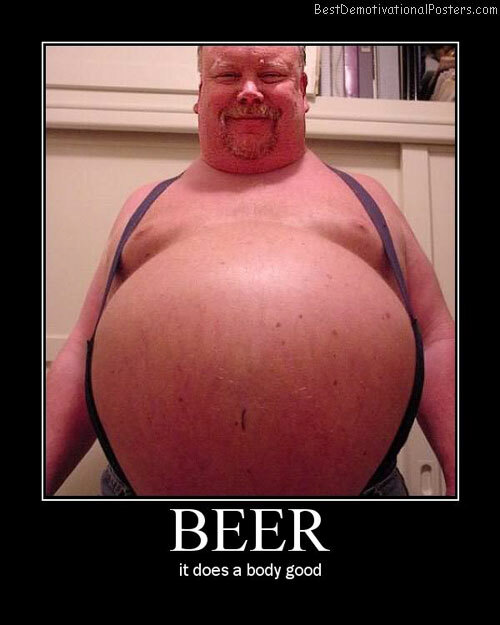 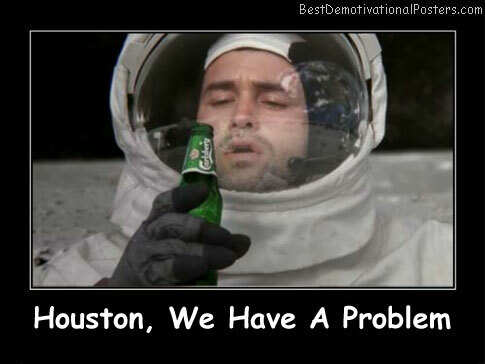 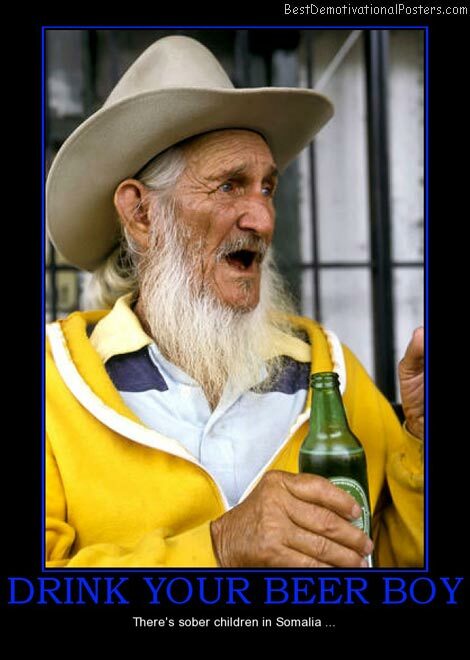 Beer And Women - The cause and solution to all life's problems. 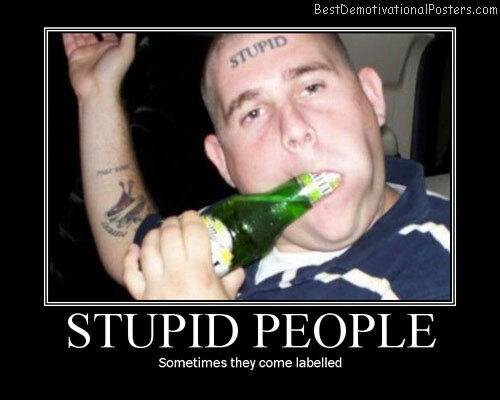 Mom Off The Year - They not all win the Britney Spears mom off the year award. 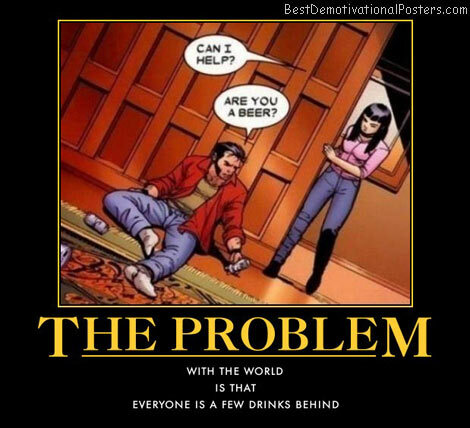 The Problem - With the world is that everyone is a few drinks behind.